Carry water at all times with the Coghlan's Plastic Flask. This flexible, virtually unbreakable container can hold water, power drinks or any other favorite beverage. The 16 oz. flask is useful for the hiker, hunter or most any open-air enthusiast. 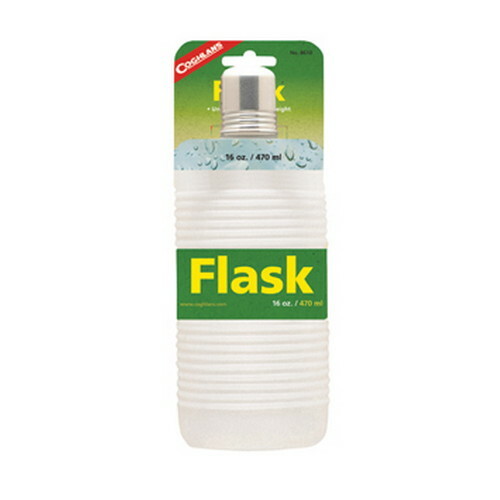 - Virtually unbreakable plastic flask holds 16 oz.